San Francisco, California, April 3, 2018 — QUANTA (quantadex.com), a Silicon Valley based team comprised of members from prominent companies such as eBay, PayPal, and Netflix, is announcing that it will offer crowdsale of $50 million in QUANTA Coins. The funds will be leveraged to continue the development and the launch of the public decentralized exchange and blockchain. Traders – Provide feedback to improve trading platform and to add new features and new apps. Voters – Coin listing and delisting, roadmap & features, will be driven by the community voting process. Network operator – Earn % of the trading fee based on the volume & latency of trades executed on their server. Coin holders – Trading fees are distributed back to the network coin holders. Blockchain Developers – Extend the platform functionality via Github PR and network upgrades. App Developers – Take part in building new & interesting features for traders, and earn QUANTA coins based on installs and usage from users. 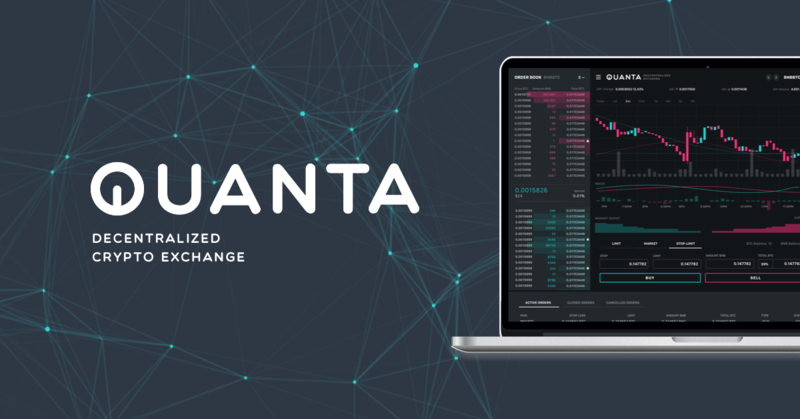 Recently, QUANTA experienced an overwhelming demand and excitement from the community after launching their pre-registration, which generated over 100,000 registrations in over 5 days from over 160 countries. They are currently open for public registration for everyone, at quantadex.com. Greeneum: Go Green. Get GREEN.